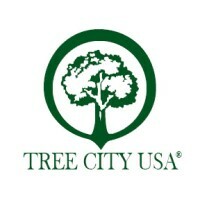 Crafton, Pennsylvania, a “Tree City USA” community, is one of the best-kept secrets of the Pittsburgh region. With its beautiful, historic Victorian homes, tree-lined streets, and safe neighborhoods, it’s a gem of a borough just 7 miles from downtown Pittsburgh. Crafton’s residents benefit from their close proximity to the Parkway, Interstate 79, the new busway, and the Pittsburgh International Airport. Top this off with a beautiful scenic valley by Chartiers Creek, and you’ll know why generations of families call Crafton home. Crafton Borough is accepting bids for the 2019 Road Paving Program until May 7, 2019 at 10:00 AM. The notice to bidders and bid specifications can be found under the Public Notices section of this website. No changes for Crafton Residents. Click here for more information. The Borough of Crafton is accepting applications for Pool Manager and Assistant Pool Manager. Applications may be obtained in the Administrative Office, 100 Stotz Avenue, 2nd Floor, during normal business hours Monday through Friday or CLICK HERE. All applications must be submitted by 4:00 pm, Friday, March 31, 2019. The 2019 Winter Newsletter is now available online. Click here to view or download the newsletter. Click here to download the 2018 Earned Income Tax Return Form or go to Jordan Tax Service, Inc for online filing. Notice is hereby given that the Crafton Borough Council is accepting Letters of Interest. Click below here for a list of vacancies. The Military Banner Program salutes our brave men and women who are currently serving and those who have served in the military. For a printable application click here. To view Crafton’s Veterans click here.